Our weekly explainer on economics using lessons from popular culture. In Installment 2, Raj Kapoor brings us two important lessons about globalisation. My shoes are from Japan/ My trousers are from Englishtan/ The red cap on my head is Russian/ And yet, my heart is Indian. Raj Kapoor, perhaps Bollywood’s first cosmopolitan, lip-synched to these charming words in his 1955 film, Shree 420. They were apt for the India that Jawaharlal Nehru then wanted to build: self-confident, but at home in the world. They hold lessons for us today. We live in a globalised age where globalisation is suddenly being touted as a bad word. The USA under Donald Trump is becoming insular, and Britain is looking similarly inwards with Brexit. Even here in India, there is much rhetoric about ‘Make in India’, as well as an angry nationalism that looks inwards with a closed fist, not outwards with open arms. There are two lessons that we can draw from Mera Joota Hai Japani. The first is about economics. The tramp in the film, conveniently named Raj, wears Japanese shoes, Englishtani trousers and a red Russian cap. (I love the word ‘Englishtani!’) None of these affect his Indiannness. And there is no one implying that his wearing foreign products is anti-national because it harms the domestic industry. There are his personal choices: Jab buyer-seller raazi/ Tho ya karega economic kaazi? And yet, the Swadeshi sentiment of “Be Indian, Buy Indian” has made a comeback. To be fair, every Indian government has been guilty of such flawed thinking. (Remember Nehru’s belief in Import Substitution?) But the current one of Narendra Modi has added much advertising gloss to it, with fancy catchphrases like ‘Make in India.’ There is a fallacy behind such thinking, though, and it is the most pervasive economic fallacy of all: The Zero-Sum Fallacy. The Zero-Sum Fallacy dictates that if someone gains, someone else has to lose, for there is a limited amount of value in the world. So if I, an Indian consumer, buy a clock that is made in China, my wealth flows to China and my nation loses that much value. But this thinking is wrong, because all trade is a positive-sum game. Every voluntary transaction makes both parties better off – or they wouldn’t trade in the first place. So when I buy a clock that is made in China, both the seller and I have gained. Now, you might argue that it is nationalistic of me to support the Indian manufacturer who sells me a clock for Rs 100 rather than the Chinese guy who sells me one for Rs. 80. There are four things to note here. One, when I buy the Chinese clock, the Rs 20 I save will be put to productive use in the Indian economy, and create opportunities there. Two, if I am made to buy the Indian clock by protectionist measures like high tariffs, it amounts to a redistribution of the notional Rs 20 I would have saved to the Indian manufacturer by force. It is theft. Three, allowing a free market pushes the Indian manufacturer to up his game to compete, or fulfill some other demand elsewhere, which is good for everyone concerned. Four, most important of all, the Indian manufacturer in this example, in all contexts apart from clock manufacturing, is also a consumer. We are all consumers, and free markets add value to all our lives — more value than mere redistribution would in a zero-sum game. Here’s another way of looking at it: as an individual, imagine if you had to grow your own food, build your own furniture and cure yourself when you fell ill. Your life would likely be fairly primitive, if not outright “nasty, brutish and short.” What allows you to elevate your life? Trade with others does. This logic holds whether you speak of an individual or to a nation. Like gravity, it applies to everything. India suffered for decades because the otherwise cosmopolitan Nehru closed India off from global markets. It is bizarre to see that same thinking back in vogue. Apart from the economic lesson, there is also a cultural one here. An old trope that has again become fashionable recently is a nativism that holds that everything that originated in India is good, and foreign imports are bad. Family values are good, Western values are evil. Everything to do with Hinduism is good, and all that Muslim or colonial ‘outsiders’ brought is bad. One way of dealing with this is by playing around with history, like that delightfully mischievous storeteller PN Oak, who once claimed that the Taj Mahal was once a Shiva temple named the Tejo Mahalaya, and that Christianity was an Indian religion named Krishna Neeti. This sounds crazy, but is an extension of other commonplace beliefs. For example, there was recently some praise on social media for graduates of IIT BHU who apparently attended their convocation ceremony in the “truly Indian attire” of kurta pajama. This is all well and good, but one must ask here, what is truly Indian? And yet, the way I see it, all of these are truly Indian. Culture is appropriation. That’s a feature, not a bug, and we should embrace it. Indeed, what makes Indian culture so wonderful is the diversity of the influences that have shaped it. And that, finally, is the big lesson from the song above. 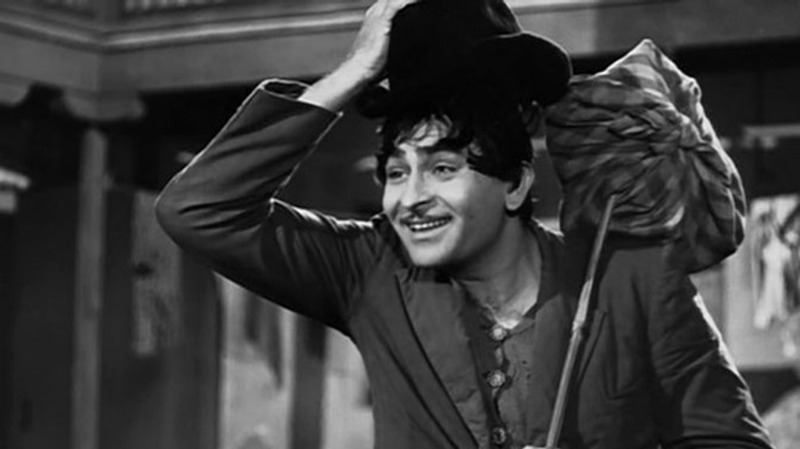 Raj Kapoor, inspired in that film by Charlie Chaplin, wore a shoe from Japan, trousers from Englishtan, a hat from Russia and was, nevertheless, an embodiment of what it meant to be Indian. Phir bhi dil hai Hindustani! Ek Baar Jo Maine Commitment Kar Di – Salman Khan on personal morality and constitutional rules.